Waller County needs a new jail, local officers need body cameras to record their activities and the sheriff’s office needs to promote civility, a study committee formed after the death of Sandra Bland said Tuesday. The county came under national scrutiny in July when Bland was found hanged in her jail cell three days after being arrested by Department of Public Safety trooper Brian Encinia, who says she assaulted him during a contentious traffic stop. Her death was ruled a suicide, but her arrest and subsequent jailing triggered accusations of racism. Bland’s family has filed a civil lawsuit in federal court against the county, several of its employees and the now-fired Encinia. Encinia is facing a perjury charge in Waller County, after a grand jury indicted him for lying about why Bland exited her car. The former trooper is also fighting to get his job back. At Waller County Sheriff R. Glenn Smith’s request, local attorney Paul C. Looney formed the study committee at the end of July to review the operations of his office and the county jail. Civil rights attorneys Craig Washington and Randall Kallinen, former Texas Court of Criminal Appeals Judge Morris L. Overstreet, and criminal defense attorneys Juan L. Guerra and JoAnne Musick served on the committee and had unrestricted access, some of the members said Tuesday. Looney served as a nonvoting member. Washington said the recommendations are specific and will make a difference. Smith said building or rebuilding a positive relationship with the community requires law enforcement to be aggressive and to show that officers are there to protect everyone. Smith said from what he’s read, he supports most of the recommendations, but some items won’t just happen in a few months. In the case of the new jail, for instance, land has been picked out but funding has not been approved, he said. Nevertheless, Smith said, the recommendations will be taken seriously. “It won’t be dust settling over the report,” the sheriff said. You can see the recommendations at the story link, and a copy of the report at Grits for Breakfast. I think they’re all doable, and I hope they have a positive effect. There are other issues that should be addressed as well, like de-escalation training for officers and saner bail/bond policies, but those things are outside the scope of what this committee was asked to do. Someone should still be thinking about them, and not just in Waller County. Nonetheless, this is a good start, and I wish Sheriff Smith and his staff in implementing the changes. In the wake of the controversial arrest of Sandra Bland and her jailhouse suicide, Waller County Sheriff R. Glenn Smith has asked for an independent panel of civilians to evaluate all aspects of the way he runs his department, from the cell blocks to the streets, and make public recommendations for change. “He wants to use this tragedy as a growth opportunity,” said long-time defense attorney Paul Looney, who has been asked by the sheriff to form the five-member committee. “We have been given carte blanche. We have been told we’ll have access to any piece of paper we want. We can visit with any prisoner or person without notice,” Looney said. “We can go on ride-alongs,” he said of riding in patrol cars with deputies to observe them first-hand. Looney said the committee will be a diverse group of leaders and that none will be in law enforcement. He also said they won’t pull any punches in making recommendations, which will be shared with the public. Waller County District Attorney Elton Mathis formed a second independent committee Monday to review the arrest and death of Sandra Bland and also released a toxicology report that one expert said suggests the 28-year-old woman used marijuana shortly before jailers found her hanging in her Waller County Jail cell. Mathis said he was bringing in defense attorneys Lewis M. White and Darrell W. Jordan, both of whom are African-American, to lead a panel that will oversee the work of his office and make recommendations about charges for possible criminal conduct during the arrest and confinement. “There are many lingering questions regarding the death of Sandra Bland,” Mathis said, explaining why he has asked for help just days after Waller County Sheriff R. Glenn Smith formed a similar committee to review jail procedures. The announcement that officials were forming another independent review committee did not build much trust with critics. Both White and Jordan have limited prosecution experience, graduated from Texas Southern University’s law school and work in small firms with five or fewer attorneys, according to the Texas State Bar’s website. White, who passed the State Bar in 2002, worked under Mathis as a prosecutor for a year. Jordan, who passed the bar in 2006, has served as a prosecutor in the Army National Guard, where he still is a defense attorney. Jordan also has worked as a talk radio host for KCOH, part of the broadcasting company owned by Houston mayoral candidate Ben Hall. Vivian King, a prominent Houston defense attorney and former prosecutor, said she did not know White, but had confidence in Jordan, who she had as a student at TSU. JoAnne Musick, the president of the Harris County Criminal Lawyers, said the decision to bring in someone familiar with the county, like White, might give the duo a useful perspective. But she said that insider status also could undermine the public’s trust in the process. Musick is one of five people selected by Hempstead and Houston attorney Paul Looney to serve on the sheriff’s review committee, which has not yet met. 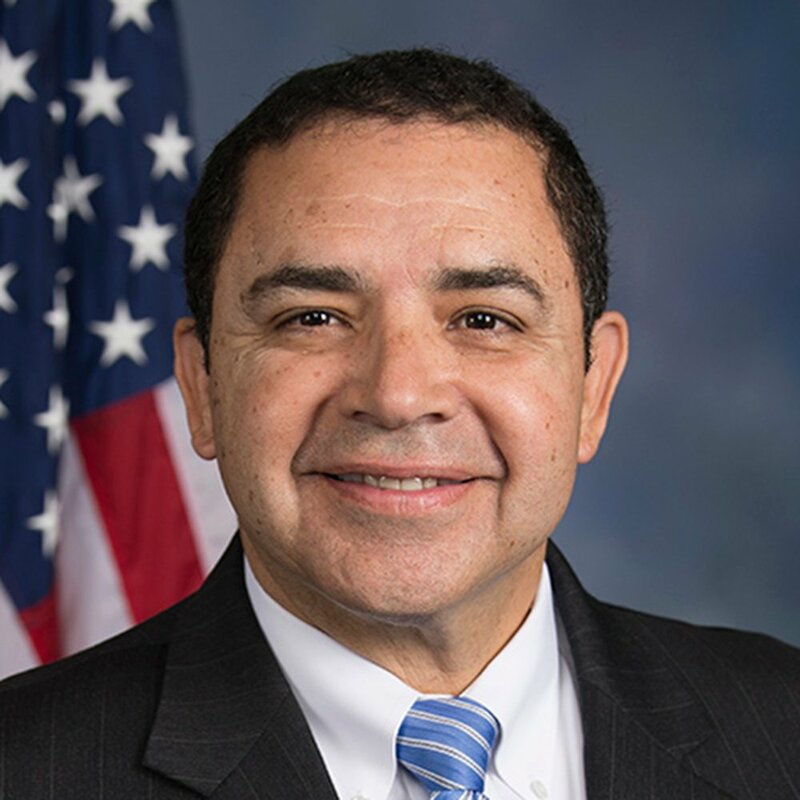 On Monday, Looney identified the others: Juan L. Guerra Jr., criminal defense lawyer; Randall Kallinen, civil rights attorney; Morris L. Overstreet, a former judge on the Texas Court of Criminal Appeals; and former U.S. Rep. Craig Washington. Jordan ran in the 2010 Democratic primary for judge of the 180th Criminal District Court. Here’s the judicial Q&A he did if you want to know a little more about him. The Sheriff’s panel has several well-known people on it, and I think they will live up to Looney’s promise that they will not hold back. The same day Waller County officials released results of Sandra Bland’s autopsy report, state lawmakers announced they will meet next week to discuss jail standards and police relations. That hearing will be tomorrow, July 30. Here’s the press advisory from Rep. Coleman, who can always be counted on to do a thorough job, and more on the hearing in the Trib. We need to learn all we can from this tragedy, and then to actually follow through on it, or we’re just going to keep having more like it. Still more here from the Trib. We turn our attention now to CD18, where Congresswoman Sheila Jackson Lee is running for re-election. I’ve lived in the 18th since 1989, and have had Congresswoman Lee as my Representative since she defeated Craig Washington in 1994. I don’t think she really needs an introduction, so let’s just go straight to the interview. A full list of the interviews I have done is on the 2010 Election page. As always, your feedback is appreciated. This Chron story about the primary challenges to Rep. Sheila Jackson Lee goes out of its way to try to find parallels to Jackson Lee’s own successful primary election of 1994. A little too far, I think. The district looks different: Its 228 square miles, mostly in the center of Houston, were reshaped in 2003 at the behest of Texas Republicans. Its voters are different: African-Americans account for 40 percent of the eight-term Democrat’s estimated 652,000 constituents now, compared with 51 percent 16 years ago. Hispanics have doubled their share of the population to 36 percent. And the political power centers have shifted from the inner city churches to the neighborhoods like Windsor Village that ring Houston’s central core. What’s more, the way candidates reach voters is different: When Jackson Lee first ran for Congress, she appeared with African-American ministers. On the day Houston City Councilman Jarvis Johnson declared his intent to replace Jackson Lee, his first interview was a roundtable with liberal Houston bloggers. Then there’s the volatile political climate of 2010, similar in many ways to the 1994 wave that swept away three dozen incumbents, including Jackson Lee’s predecessor, Craig Washington. Just last week, two senior Democrats, Sens. Christopher Dodd of Connecticut and Byron Dorgan of North Dakota, abandoned their re-election plans after finding themselves trailing in early polls. Okay, as someone who has lived in CD18 since Mickey Leland was its representative, this is quite the stretch. 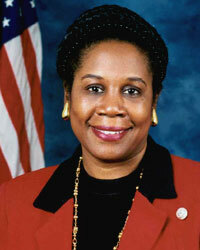 It’s true that Rep. Jackson Lee has gotten some bad press recently. One can argue, as I’m sure Johnson and Roberts will, that she’s lost touch with the district. But Craig Washington spent the better part of 1993 dealing with stories about how he was paying his ex-wife’s rent with campaign funds, which were also allegedly being used to help him out of personal bankruptcy; and about how he missed a committee hearing that he himself had called for to attend a charity golf event; and how his attendance record was the fourth worst in all of Congress. To put it mildly, there’s nothing remotely like that in Jackson Lee’s record. The Dodd and Dorgan comparison is equally flimsy. The reason for Dodd dropping out (lousy poll numbers that stem from his abortive 2008 Presidential run and a sweetheart deal from Countrywide Financial) and Dorgan dropping out (popular Governor John Hoeven decided to enter the race) are very different. Other than a general narrative of “2010 is likely going to be a rough year for Democrats” – which doesn’t have much relevance in a Democratic primary – it’s hard to see what that has to do with Jackson Lee’s situation. I at least am not aware of any polls that suggest Jackson Lee is in any danger. This doesn’t mean that she isn’t, but it would be nice to have some objective data before we start comparing her to incumbents that actually are on their way out. Finally, while it’s true that CD18 looks different now than it did in 1994, Jackson Lee has won re-election three times since the 2003 re-redistricting. It’s not like she has to re-introduce herself to the voters, who showed her plenty of love in 2008. Again, I’m certainly not saying she can’t lose – Jarvis Johnson represents the strongest challenge she’s faced since 1994, and with two opponents, it’s that much harder to get a majority. What I am saying is that if she does lose, it won’t have anything to do with the reasons why Craig Washington lost to her all those years ago, and it won’t have anything to do with the politics of Connecticut or North Dakota. As is often the case in a primary, it’ll be a referendum on her, and she’ll win or lose on who she is and what she has or has not done while in office. That’s the story that we should be focusing on. Twenty years ago today, US Representative Mickey Leland died in a plane crash while on a humanitarian trip to Ethiopia. His widow Alison Leland and State Sen. Rodney Ellis remember his legacy in today’s Chron. Twenty years ago our city, our nation and much of the world waited for word on the fate of the missing delegation led by Congressman Mickey Leland. The delegation was on the way to oversee the delivery and distribution of essential supplies to famine-stricken Ethiopia. After an international search effort, we learned that his plane had crashed, killing the congressman, congressional staff members, USAID staff and American and Ethiopian supporters. Today, as he is missed and remembered, many of his passions and causes live on. Although he loved Houston, Leland’s efforts, vision and the size of his heart could not be confined to the boundaries of his congressional district or this nation. Leland understood that the struggle for basic human rights — food, clothing, shelter and health care — was necessarily a global one. Leland dedicated his life to giving back; championing the causes of the poor and disempowered. As an activist, long before he ran for elected office, Leland set up free health clinics in areas of Houston where residents previously had little to no access to health care. He continued the fight in the Texas Legislature and in Washington for those less privileged, on issues such as alleviating hunger and poverty, protecting civil rights and expanding access to health care. We are still fighting all these battles today. Here’s his Wikipedia entry if you want to learn more. I had just moved into Montrose in the summer of 1989, so Leland was very briefly my Congressman. I’m sorry I never had the opportunity to meet him. Rest in peace, Mickey Leland.